It’s funny how sometimes you can look back and remember exactly where you were when you first did something. That time you met your significant other. When you first decided what you were going to do with the rest of your life. That moment you first had proper ramen. There are all kinds of times that elicit that reaction, but for me, I often know a comic is special if I remember where I first bought a copy and where I read it. 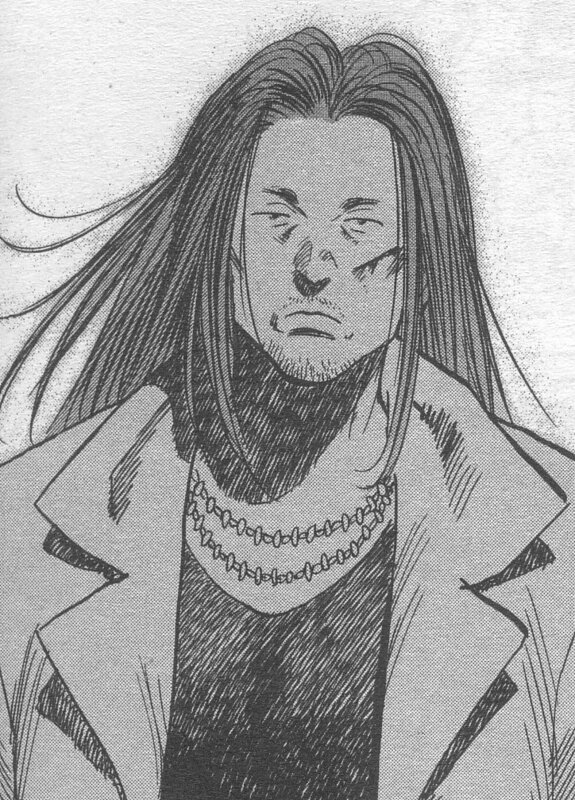 Naoki Urasawa’s seminal manga series 20th Century Boys is one of those books for me. I bought the first volume at Powell’s Books in Portland—the one on Burnside over by the Crystal Ballroom—and I read it on the flight back to Alaska. It was love at first sight. The remainder of the series – which tells the cross-decade story of a group of childhood friends attempting to save the world from a monstrous person known as the Friend who is utilizing a Book of Prophecy they created as kids to devastate humanity – was more inhaled than read. I was so infatuated with it, when orders from Amazon took too long for my taste, I’d go to my local library and pick up a couple more even if I had already bought them. I’m not an addictive person, but for that span of time I was. In the end, 20th Century Boys went down as one of my all-time favorite comics, and its sprawling, convoluted but ultimately unforgettable story lives on in my memory next to Preacher and Y the Last Man as the true greats in my comic experience. Why was that? There are a lot of reasons, of course. 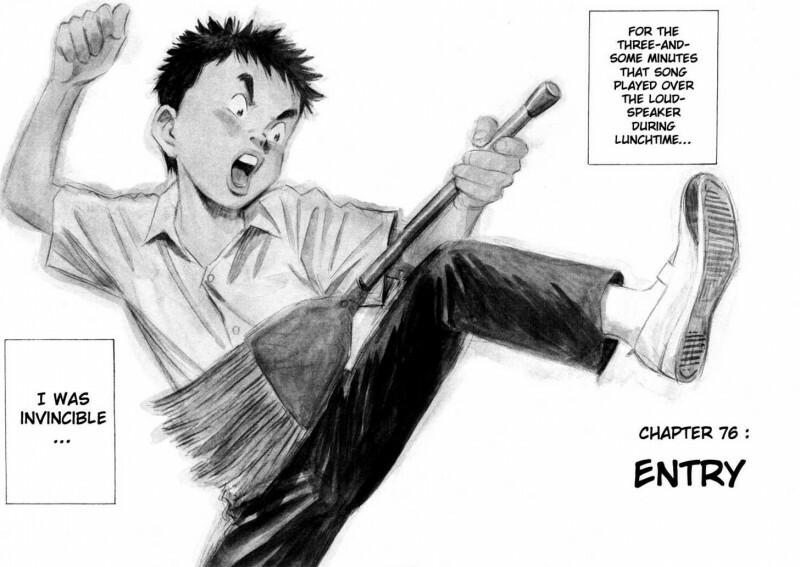 Urasawa’s one of the great living cartoonists, and in my experiences since then with his work in Monster and Master Keaton, I’ve been thrilled to see that quality of work isn’t an anomaly but his standard. The big difference for 20th Century Boys though is its epic and winning cast. While Monster focuses on a few main characters and Master Keaton one, 20th Century Boys has about as substantial of a character list as one will ever come across in the medium. In each their own way, they all contributed a huge part. But who contributed the most? That’s what we’ll attempt to figure out this week using SCIENCE*, all as part of our Very Scientific Rankings series. We’ll be utilizing a statistic we created for our breakdown of Nextwave’s cast – VATS, or Value Above the Sentry – that emulates the structure of WAR (or Wins Above Replacement) from baseball. In baseball, this statistic is supposed to summarize the contributions a player brought to a team and is considered the preeminent stat in determining overall value for a player. In this case, it’s the value a character brought to the story. To figure out the value each cast member brought to the book, I’ll rate each character in five categories, 0 to 2 points per category, and the cumulative score decides the character’s VATS score. The higher the number, the more valuable the character, with zero being The Sentry level and 10 being the absolute apex of importance and greatness. It’s that easy. 1. How direct of contributions do they bring to the storyline? 2. Could you replace them with a similar character in the story and not lose much? 3. How much would removing them change things? 4. How frequent are their memorable moments? 5. How important to the overall greatness of the book are they? Let’s dive in, shall we? Oh, and as a note, I’ll attempt to avoid spoilers as much as I can, but if you haven’t read the series, beware. I will avoid major plot spoilers at least. Maruo is series lead Kenji’s food obsessed best friend and a guy known for having as big of a heart as he has an appetite. As a character who regularly gets not one but two epic bowls of ramen in most scenes where he is eating, that’s saying something. As a character, he’s more positioned as a support player in all capacities of that word. While he’s featured almost throughout, even when he’s not backing Kenji’s play it feels like he’s backing someone else’s (like his boss later in the series, Haru Namio). While I enjoy Maruo overall, his impact on the series as a whole is less than what you’d imagine after reading the first volume. That’s fine, but it leads him to finish with the lowest score of all. Defining Characteristic: His loyalty. 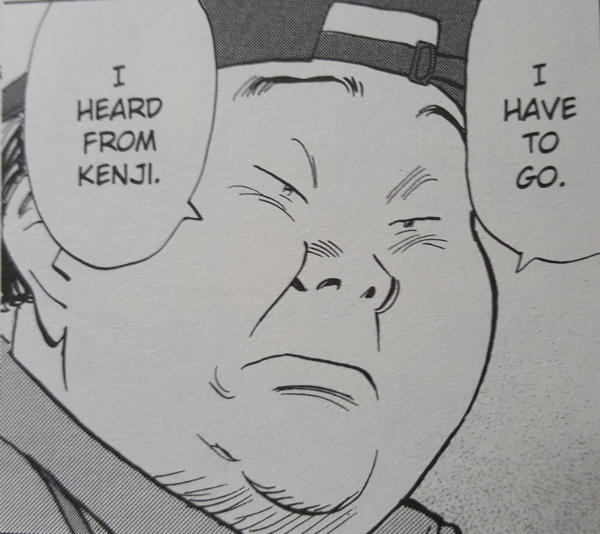 Everyone’s loyalty is actually pretty staggering in this book, as they’re put in some seriously sketchy situations by Kenji but no matter what they still have his back. But Maruo is even more so, as Kenji’s BFF is ride or die in belief of his friend to the point where he is willing to sacrifice his life in all manners of speaking. Does it make him a really engaging character? Not exactly. He isn’t bad, he’s just in a relatively unsexy role compared to most everyone else. But it does make him someone we root for if only because that loyalty Urasawa instills in him is such a rare characteristic even in fiction. It’s always tough to trust a homeless guy with the nickname “God”, but…well, Kamisama’s still kind of hard to trust in this comic. For a guy who starts as a team player early on, he gets a little wobbly as the series progresses. That’s fine, though, as he and his powers of foresight – he can see a little bit into the future and helps Team Kenji figure out what’s going on early on – are meant to be deployed in ways that are both unexpected and unreliable. Kamisama’s power has a lot of value to the plot, as when in a tight juncture, Urasawa can use Kamisama to save his bacon. But he never does that in a way that feels inorganic. All that said, my favorite part of Kamisama has little to do with his power, and more with his obsession in bringing a new wave of popularity to bowling in Japan. His maniacal lust for that is maybe this comic’s strangest subplot but it entertains me thoroughly. Defining Characteristic: That obsessive nature. For a guy who is homeless and later on ends up becoming super rich, you’d think he might have more to do than trying to frantically find a way to make bowling popular again. Not Kamisama. In fact, his desire to see another character become the next great (and inspiring) bowler is bizarre, hilarious and somehow works into the plot. In a weird way, few characters showcase Urasawa’s agile mind for plot mechanics more than Kamisama, which is odd given his occasional role as a shortcut in difficult times. At her peak, Yukiji could rival anyone else in the book in general awesomeness. As a no nonsense little girl who in many ways protected Kenji and his friends and as a tough as nails customs officer as an adult (her K-9 unit companion is what she is referring to in the image above), Yukiji is hard not to love and given a whole lot to do. Sadly, in much of the book – after one of the book’s many time shifts – she is shifted to a more passive role as the protector and mother figure to Kenji’s niece Kanna. It’s a totally logical shift, and everything is delivered in a way that makes sense for the story. Yet it’s impossible to not wish the character was given more to do later on. That said, while there is a mutual crush between Yukiji and Kenji, it’s welcome that Urasawa never used her as a simple love interest. She’s a complex character who is more than just a delicate flower or someone to complicate things with “emotions” or “feelings.” I love the gender juxtaposition between her and the rest of Kenji’s gang as she’s in many ways their enforcer. A wonderful character that doesn’t finish higher because of the needs to balance such a large cast. Defining Characteristic: Her toughness. I talked about that earlier, but she doesn’t just hold her own, she’s the one member of the gang that is both willing and capable of taking on the local bullies Yanbo and Mabo. In fact, she’s so tough that it’s seemingly a big part of why none of the gang looks at her as a potential significant other. How could they hang with someone so much more badass than them? They can’t really, besides maybe Kenji. While at times grating because of her perpetual high energy, Kyoko ended up being one of the most memorable and entertaining characters in the cast, and a big reason why is her place in the story as almost the stand-in for the audience. This story’s plot is crazy – for real crazy, not event comic crazy – and for an ordinary girl like Kyoko, it’s incredibly hard to get used to dealing with the day-to-day stress of the world and plight of Kenji’s gang. Yet she’s pressed into action time and time again and performs admirably, energetically and with the abject terror in her face that all of us would feel. We could only hope to deal with this world half as well as her, even if her face is perpetually like the one shown above. Plus, she gets bonus points for getting involved with the absolutely bizarre but totally awesome bowling subplot with Kamisama. Defining Characteristic: Her everywoman nature. Dealing with world ending super diseases, giant robots and horrifying women stalking you would be pretty easy to envision as being terrible, but Urasawa seals the deal by expertly using Kyoko as a stand-in for all of us. Sure, she adjusts to this new status quo well, but she’s always there to be the one who realizes everything is crazy even if no one else does. While he may not be the best character, you could make a very easy argument that Yoshitsune’s personal story has the best arc of anyone’s. His path from being the scared kid who hides when bullies are around (at times) to a leader of men is one of the book’s most enjoyable, and it’s fantastic to see him develop throughout despite an utter lack of self-confidence. While he may not be the smartest or most physically gifted cast member, he is dedicated, and his loyalty to the gang’s cause is only eclipsed by Maruo’s. Like Penny for Desmond, Yoshitsune is 20th Century Boys’ constant, and as long as the Friend needed someone to stand against him, Yoshitsune was there. Defining Characteristic: His dedication. 20th Century Boys itself was a sprawling story, and one that took place over multiple time periods from 1969 all the way to 2017. Yet no matter when it was, Yoshitsune was there backing the gang and their moves. Despite being the character that had the least perceived capability, when a leadership vacuum was developed after Bloody New Year’s Eve, Yoshitsune stepped in and excelled despite his own self-doubts. That’s where true strength is found. That Yoshitsune developed into one of my favorite characters surprised me, but that proves how great of an arc his really was. While maybe not objectively the most important character – although he’s up there – Otcho (or Shogun, as he’s often referred) may be my favorite. A big part of the reason for that is his capability. While everyone is really a continuation of their younger selves serving a higher purpose and dealing with the stunning hand they were dealt, Otcho faced tragedy as a younger man which led him to becoming a legitimate force. He’s arguably the most badass character within the tale, and he’s able to play the heavy throughout for the squad without sacrificing the brains and analytical nature that made him such a valuable part of the gang as a kid. For large parts of the story, you could argue that Otcho is the lead or co-lead to the comic in actuality if not in spirit, and the character is more than capable of bearing that weight. Defining Characteristic: His mental fortitude. Besides maybe Kenji, Otcho suffers the most in this story and is faced with the most difficulties of anyone in the cast. Yet he never loses his focus once he’s called to action, and he accomplishes truly great things throughout. In many hands, the section where Otcho is in prison could be a drag. 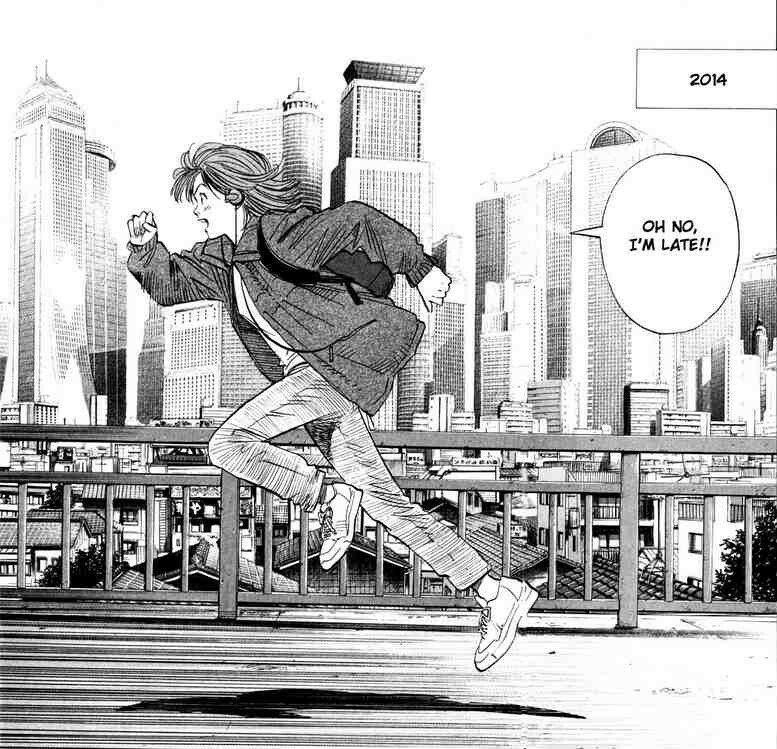 Yet it’s invigorating and exciting because of how Urasawa handles the character as Otcho sorts out his escape, and is utilized only to add to his personal lore. Kenji Endo is one side of the coin that encapsulates the heart and soul of this comic. He’s an instantly likable and impossible to not root for dreamer who is willing to do anything to save those he cares about, and it is the infectiousness of his character that the whole comic is built around. Even when he’s not around, his presence is felt by those around him, and he gives them fuel to keep carrying on despite the odds. No matter what happens, he keeps moving forward despite not being nearly as invincible as he thinks he is. In reality, he’s a tragic character who loses any shot at a normal life due to his inability to let the bad of the world go ignored. He sacrifices a lot, and despite everything he keeps giving up more and more. But Kenji Endo’s not the type who stays down when he gets knocked over. He doesn’t just get up. He gets up, dusts himself off, picks up a guitar and plays a song for the world to inspire them all over again. He’s hard not to love. Defining Characteristic: His indomitable will. At a certain point, 99.9% of people and fictional characters would give up in the face of the odds and the sheer span of time Kenji faced danger. But not Kenji. He keeps going no matter what, and its his will that gives everyone else the strength to keep going. This comic couldn’t exist without Kenji, or at least not in any similar form. Kenji’s niece Kanna is the other side of the coin I was talking about, and her relationship with her uncle is one of the best and brightest pairings I’ve ever seen in comics. From riding on his back as he worked at their family’s convenience store to the times she’s watching her beloved uncle play music on the street for a pittance all the way to when she’s a freedom fighter that leads works to continue Kenj’s fight, their relationship is at the core of the story. It’s the lifeblood of everything that happens. That’s not to say that Kanna is defined by her uncle, as she is much more than that. She’s a pitch perfect test of nature versus nurture, and she is a spirited, lovable and joyous creation that makes every page she’s on shine all the more. In a world of terror and deceit, Kanna’s honesty and hope form the rebel spirit of this incredible book. When she’s down, the book is at its darkest, but she’s never down for long. After all, if she won’t lead the world to a better place, who will? Defining Characteristic: Her heart. Kanna never gives up, and she never stops believing that there is a better tomorrow out there. Her charisma manages to help many accomplish the seemingly impossible – she united the Thai and Chinese gangs in Tokyo! – and keep pushing towards victory. While she may not be as inspiring as her uncle for me as a reader, her spirit underlines her importance to the book and showcases her as one of the great creations in comic book history. * As per usual, science was very nominally involved. But I did calculate their VATS scores based off my own opinion! That’s science, right?